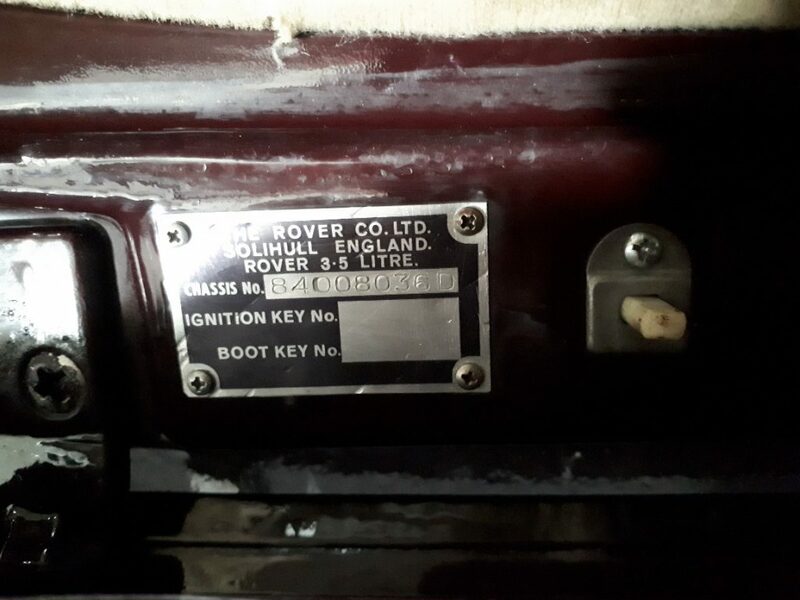 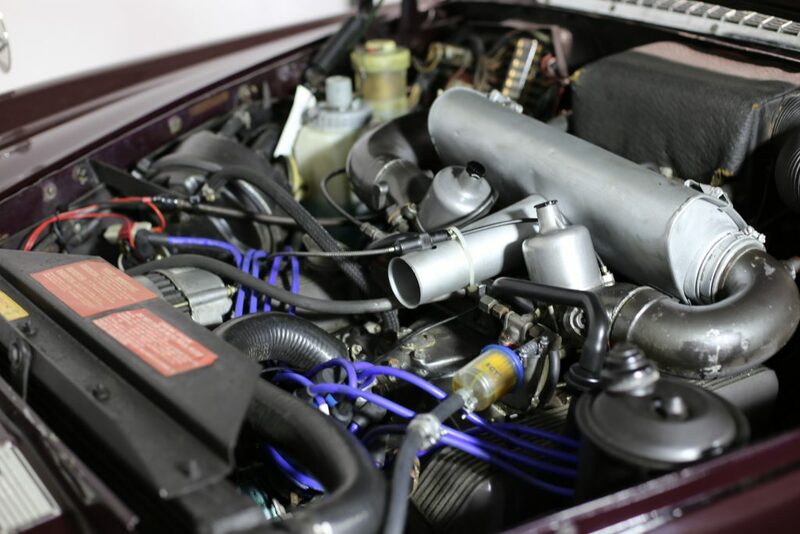 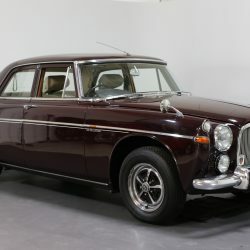 Rover P5B Saloon 3.5 Litre V8 – Bring it HOME! 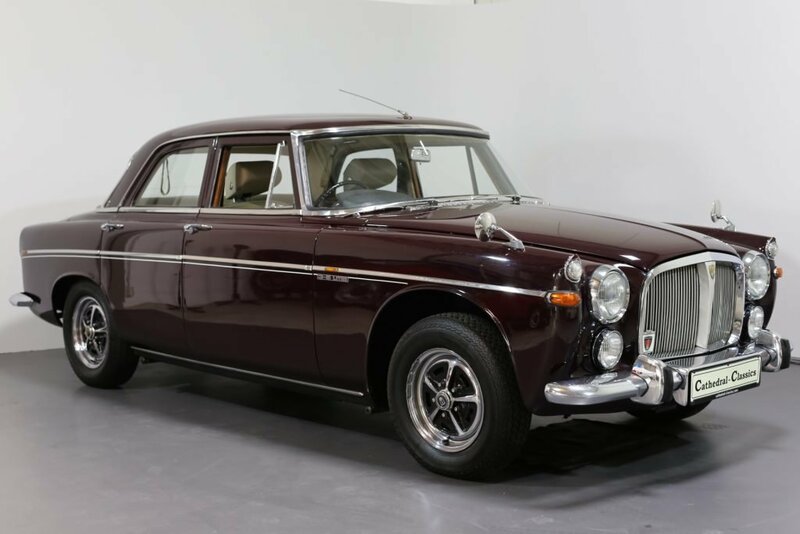 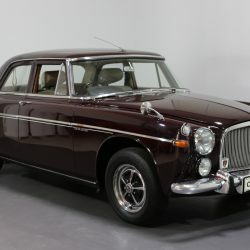 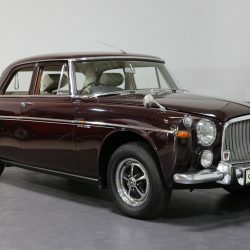 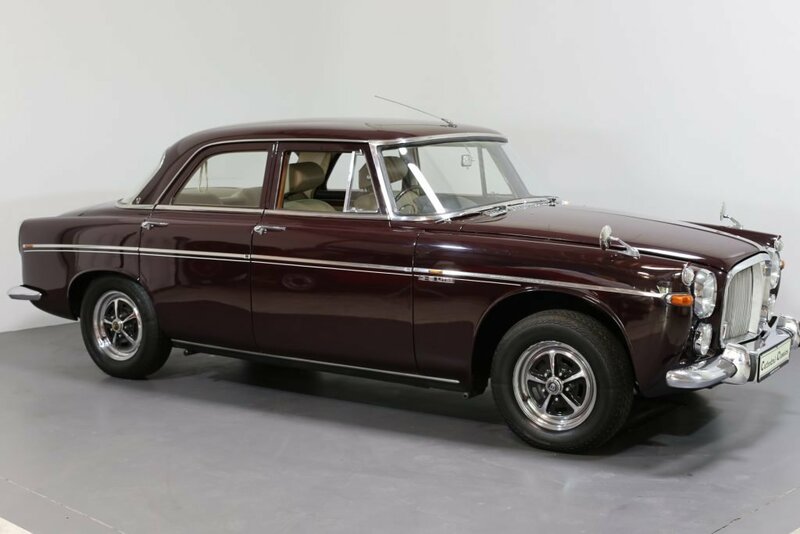 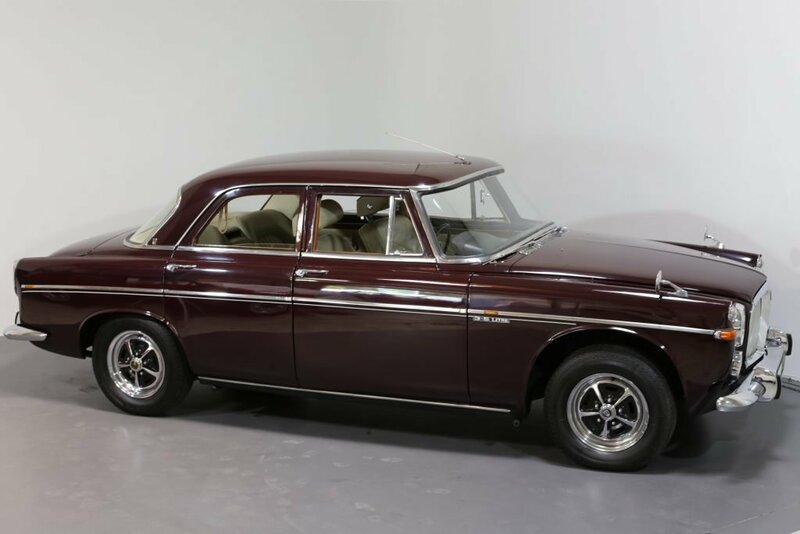 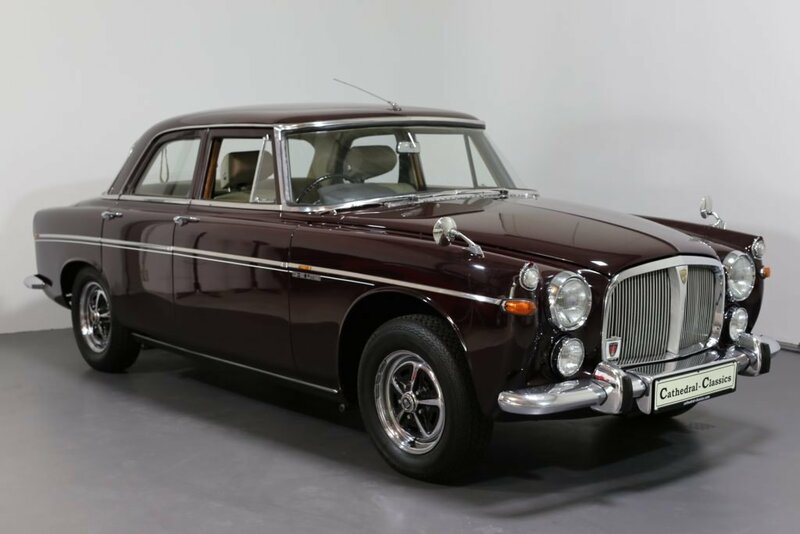 HISTORY – Our RHD Rover P5B 3.5 Litre V8 Saloon was factory dispatched to Windsor Motors Ltd, Berkshire, England on the 4th of August 1971. 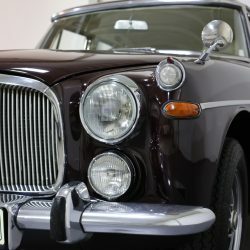 Interestingly, it has actually been in Germany since 1987, where it resides today, and has changed hands since then on four occasions. 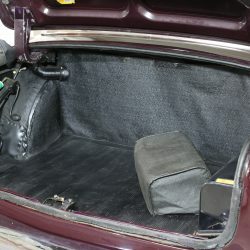 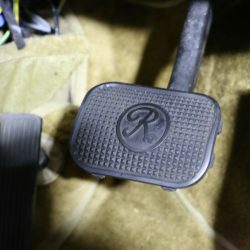 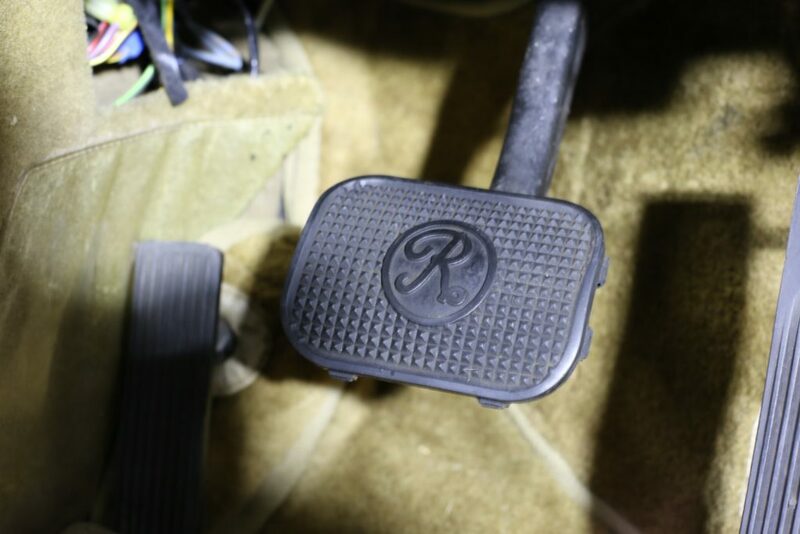 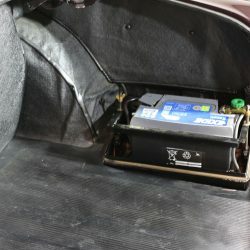 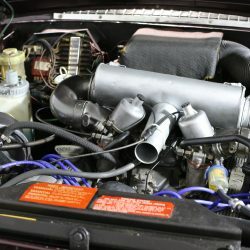 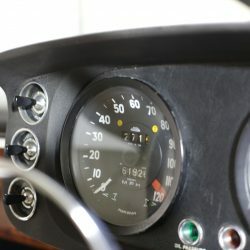 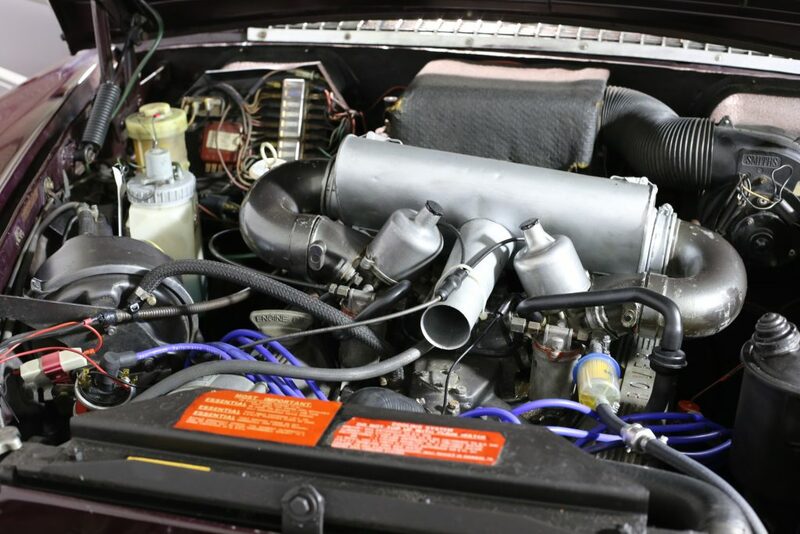 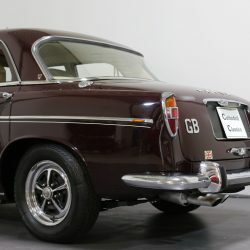 We recently purchased the car from a collector who has no less than 50 cars and is on a mission to thin down the collection to a more manageable amount. 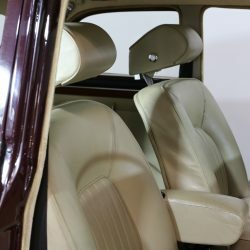 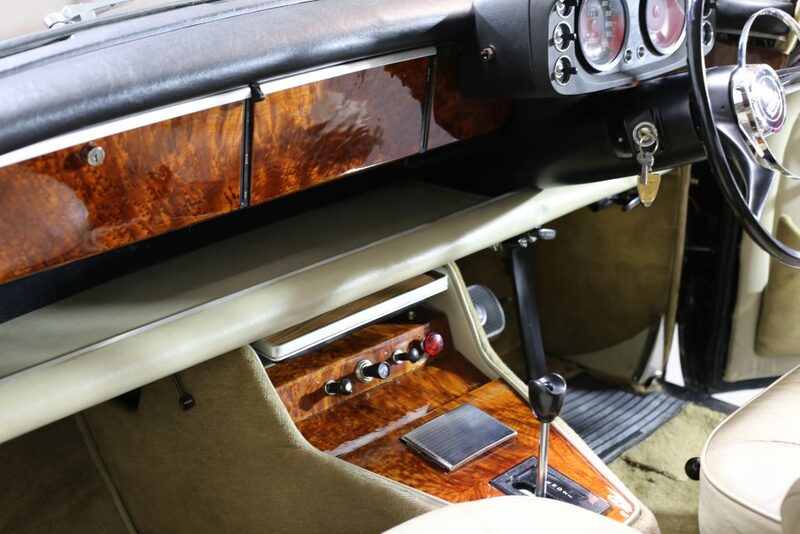 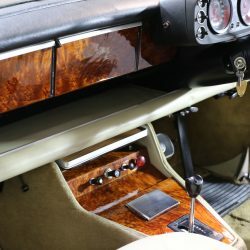 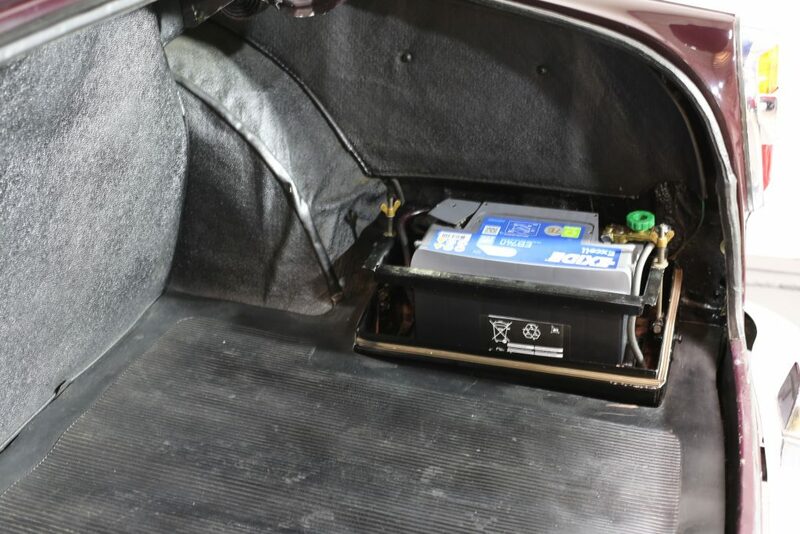 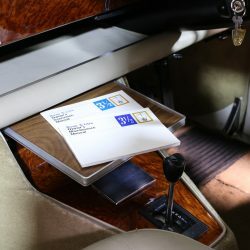 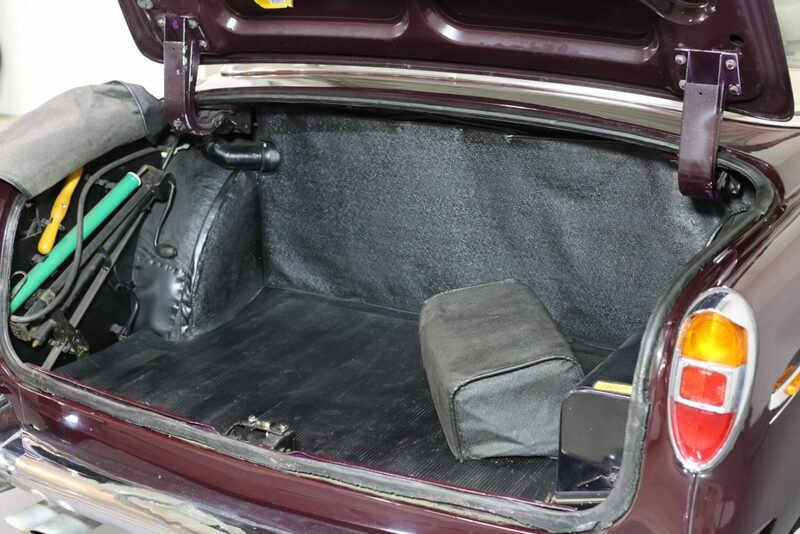 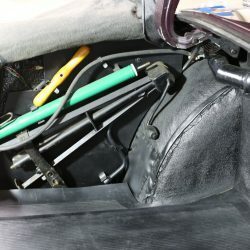 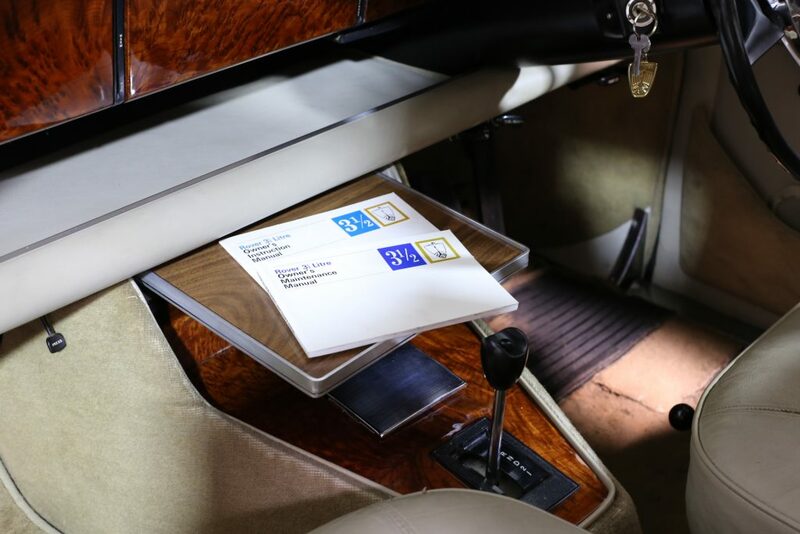 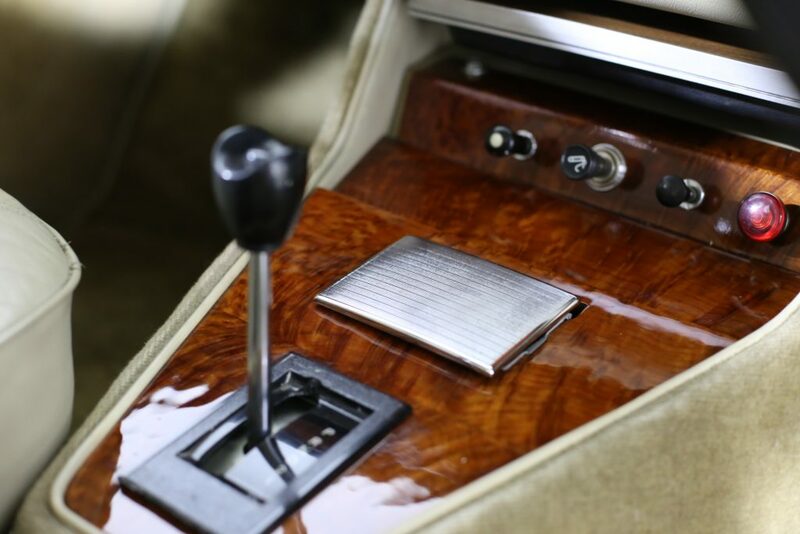 The small, but neatly organised history file shows the majority of the restoration work done in 1987 to a Munich owner with probably the highlight of the car being the wonderful interior which was completed in 2005. 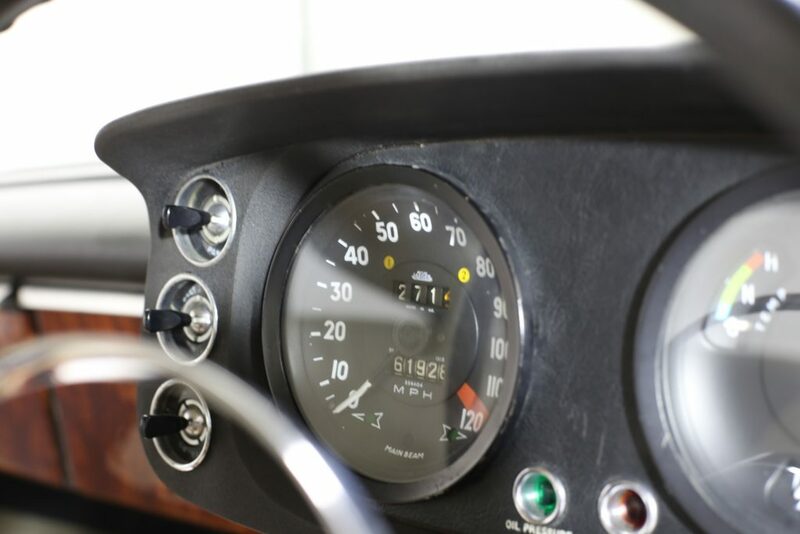 From the invoices provided, the car has travelled only 9230 miles in the last 30 years. 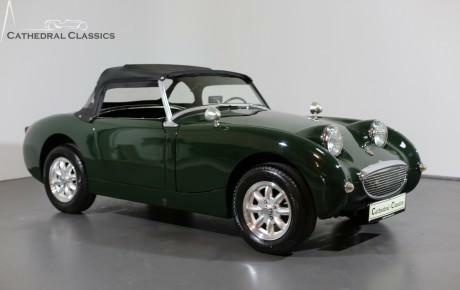 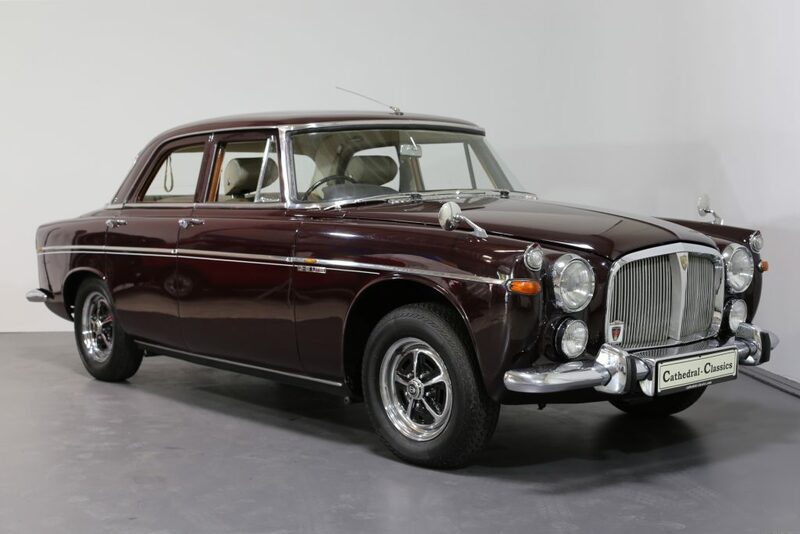 Curiously, over 11,500 Saloon models were produced by Rover with a surprisingly few examples on the market today. 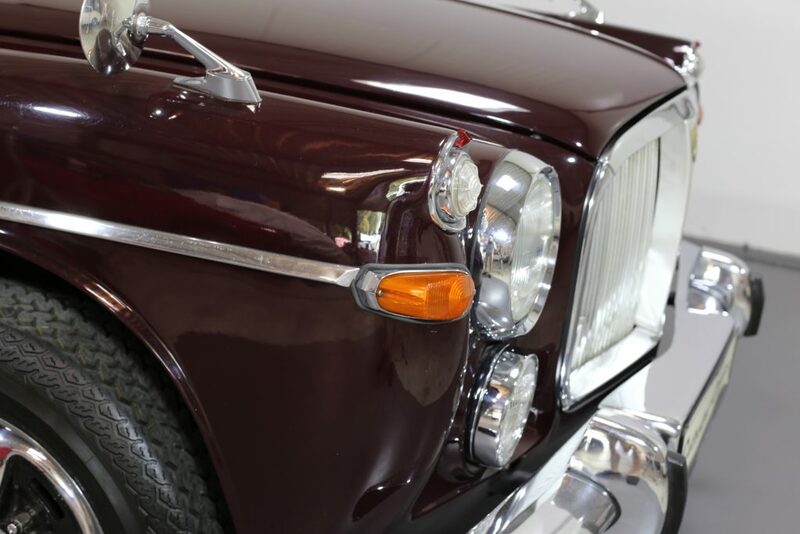 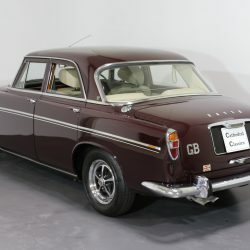 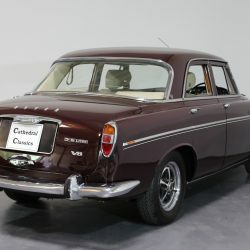 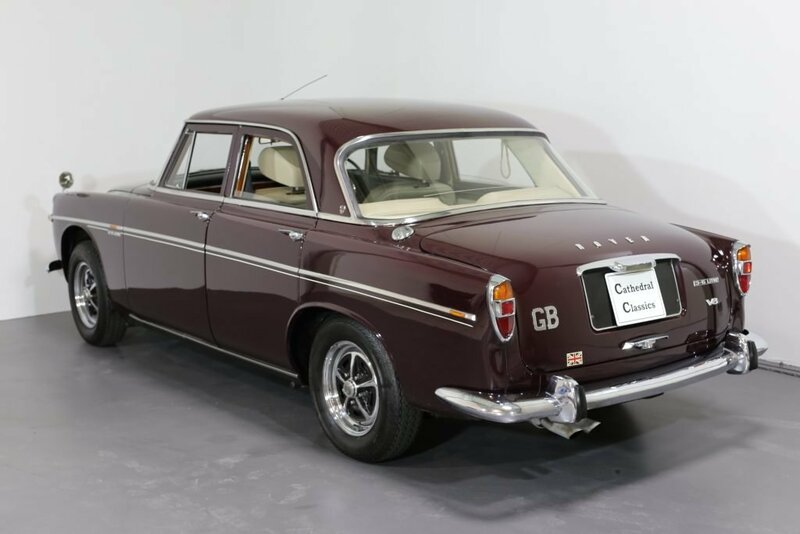 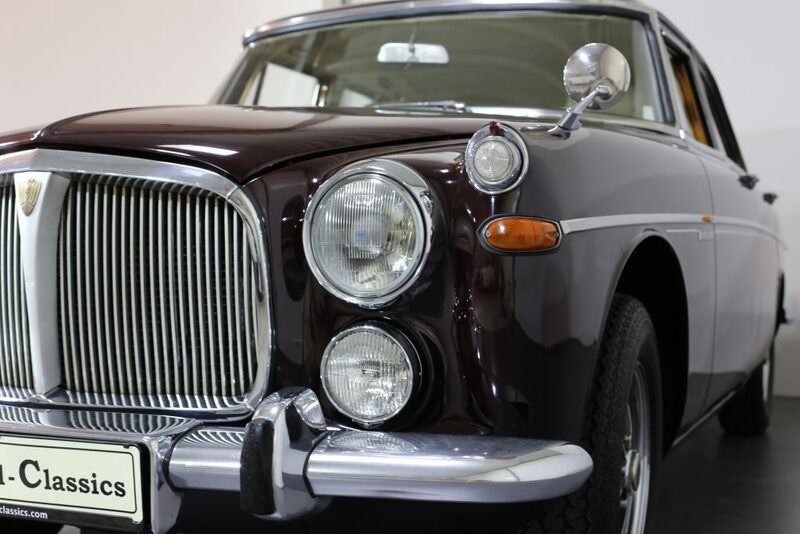 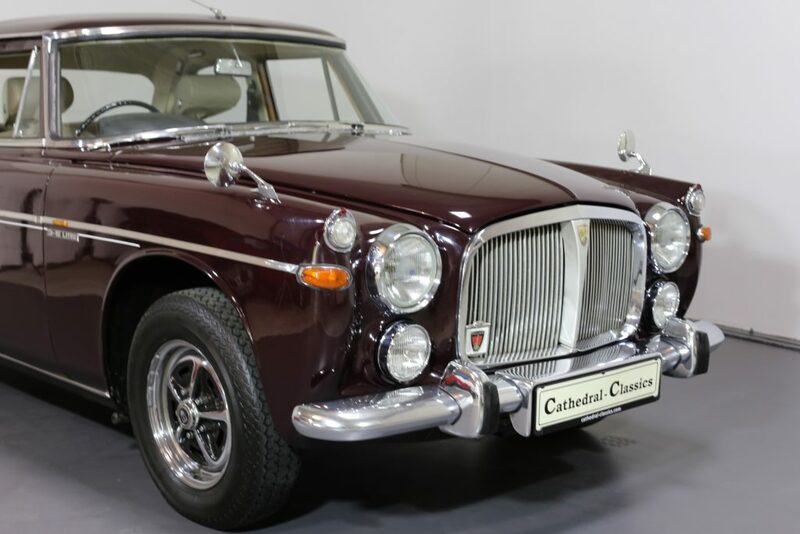 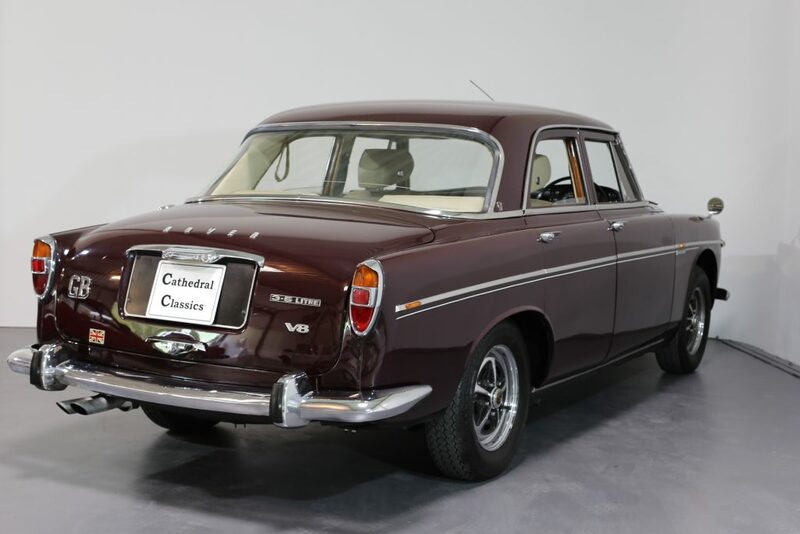 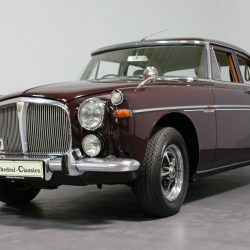 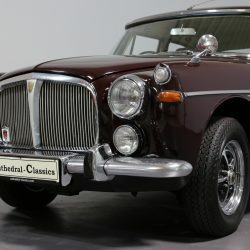 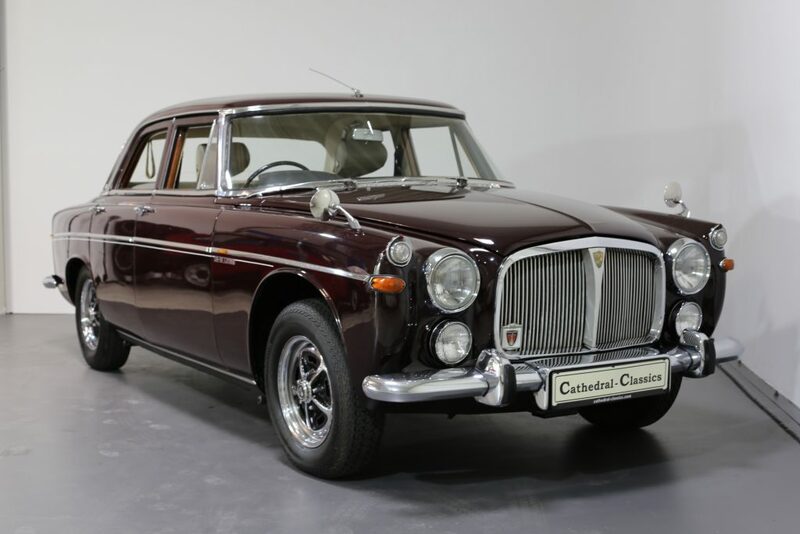 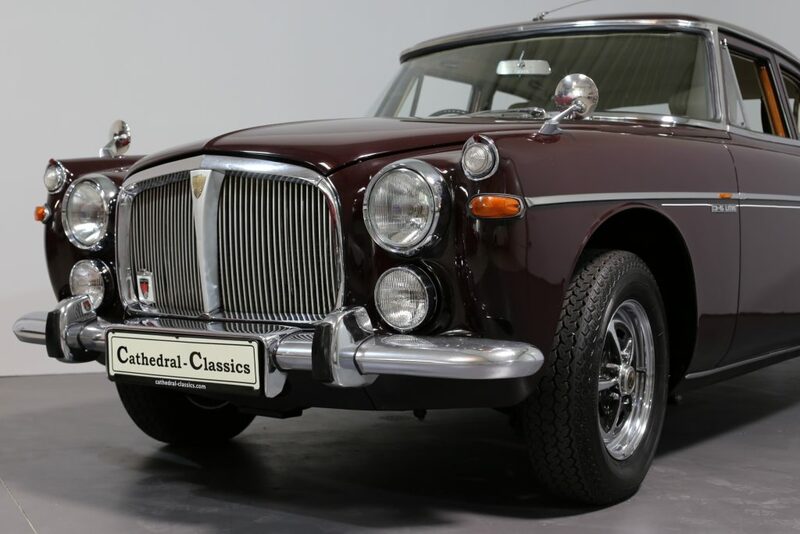 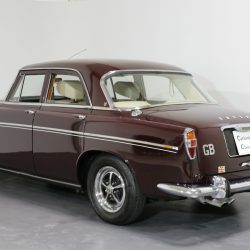 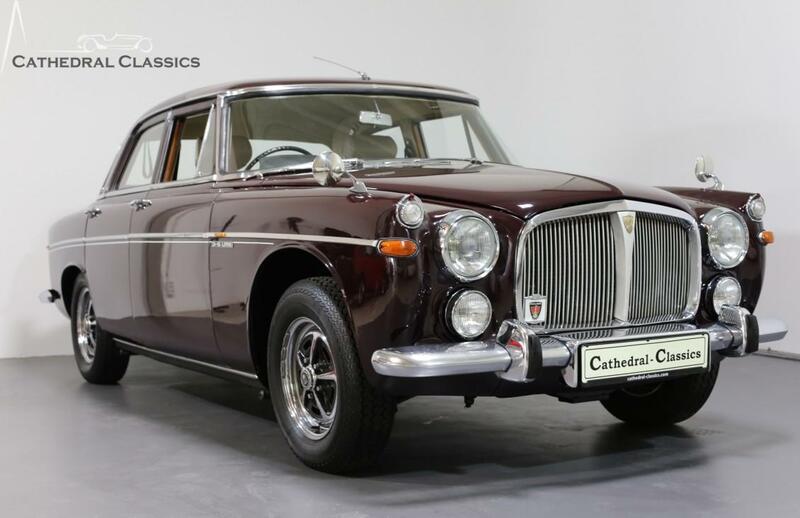 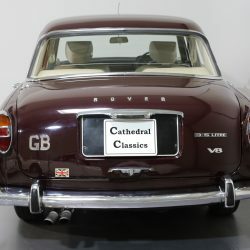 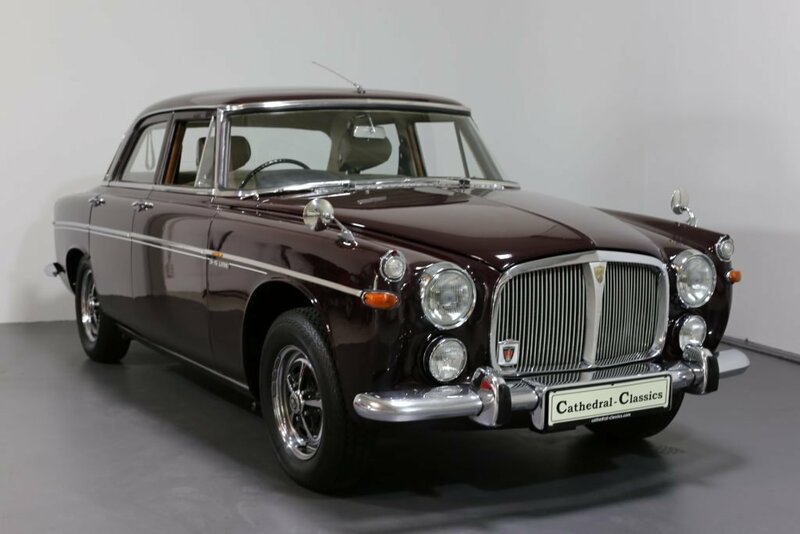 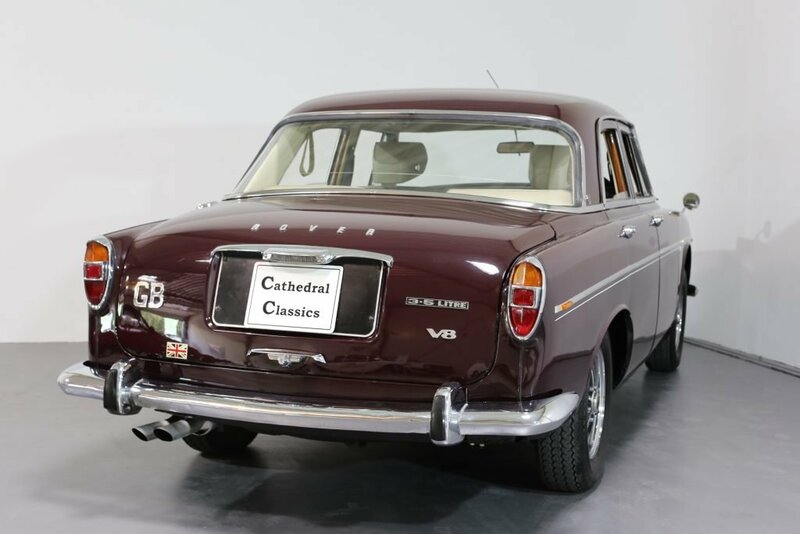 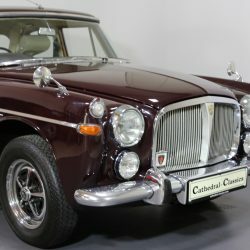 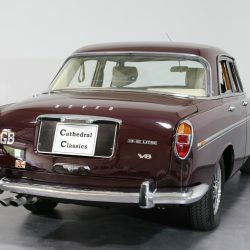 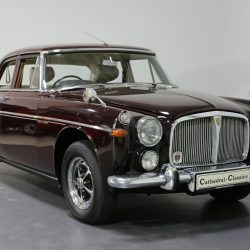 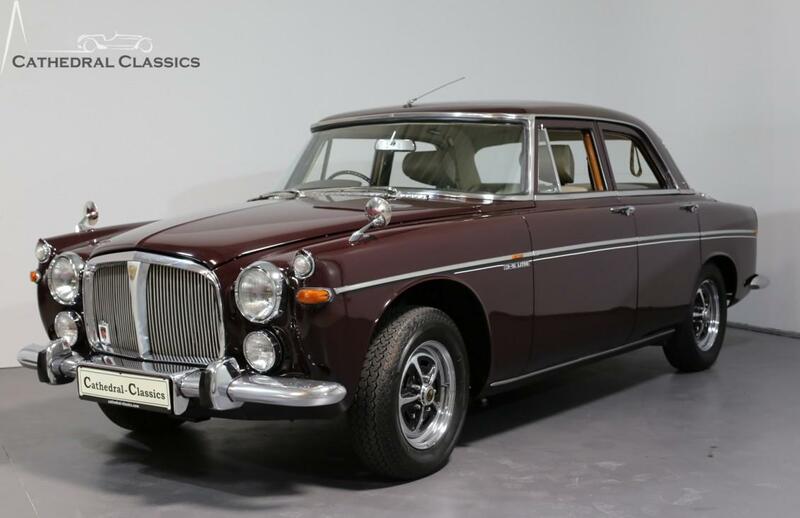 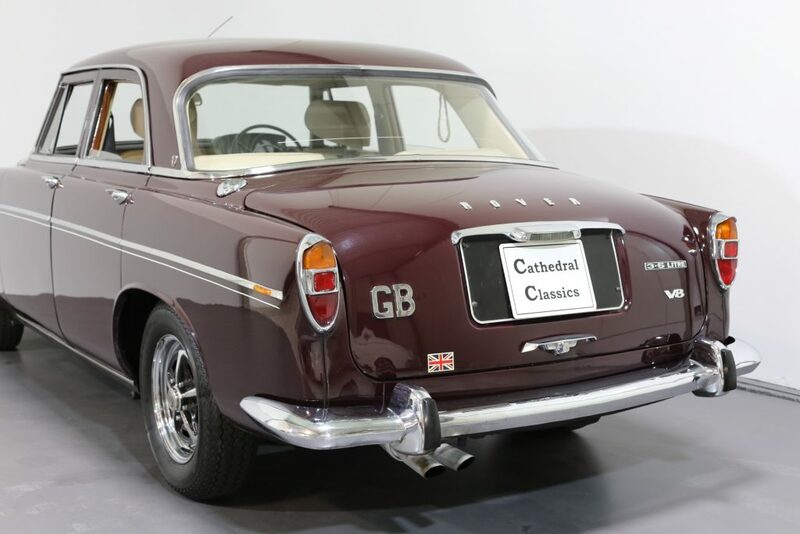 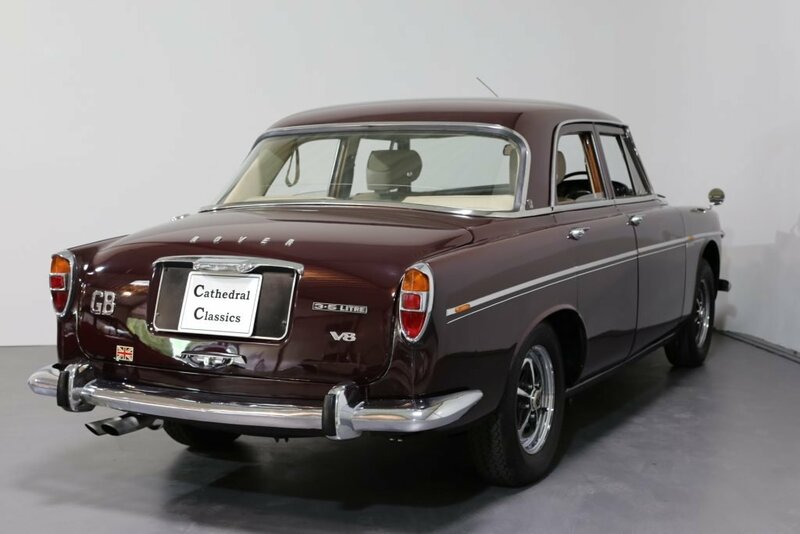 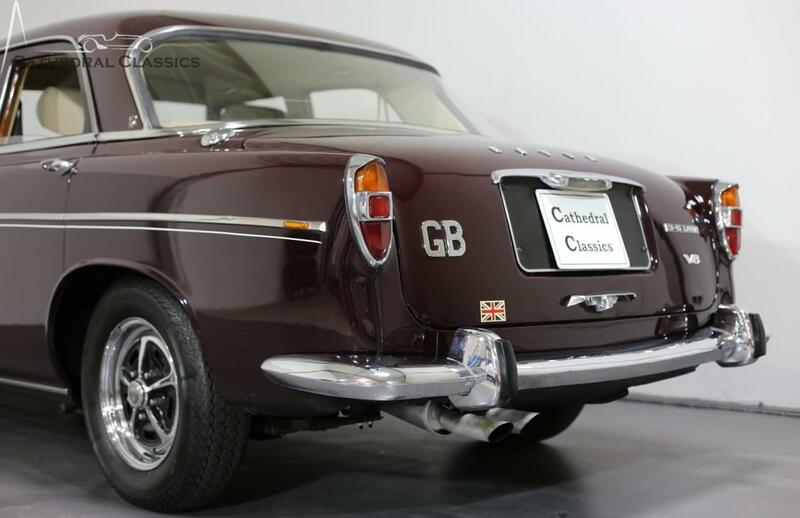 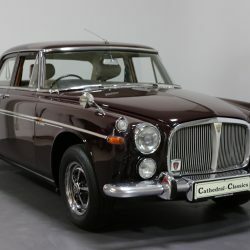 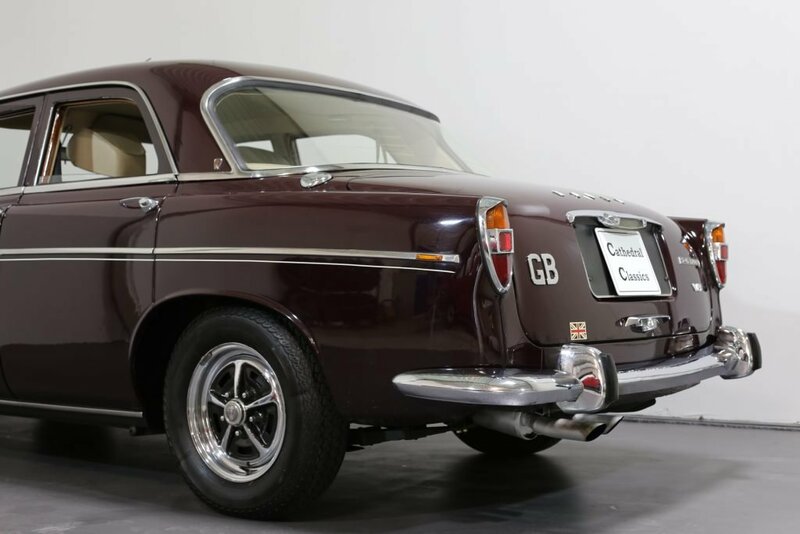 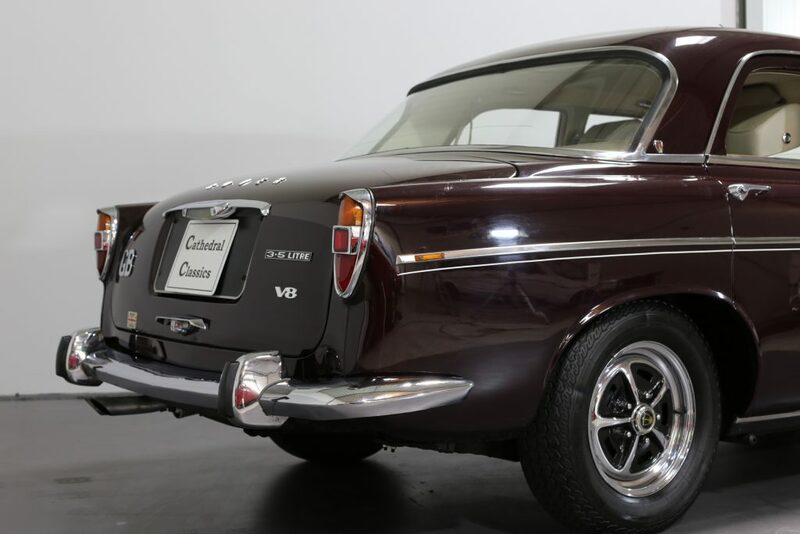 This majestic Rover has to be one of the best kept secrets in the classic market, the ideal transport for the classic enthusiast who wants low priced, lazy luxury. 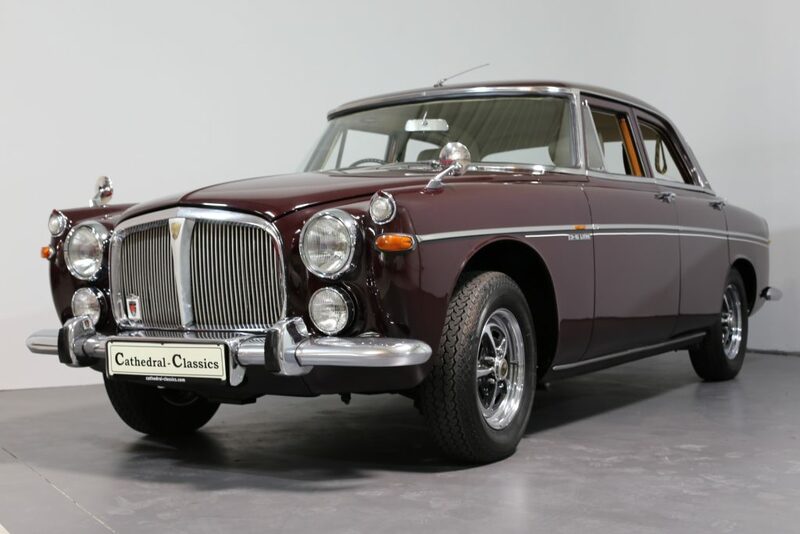 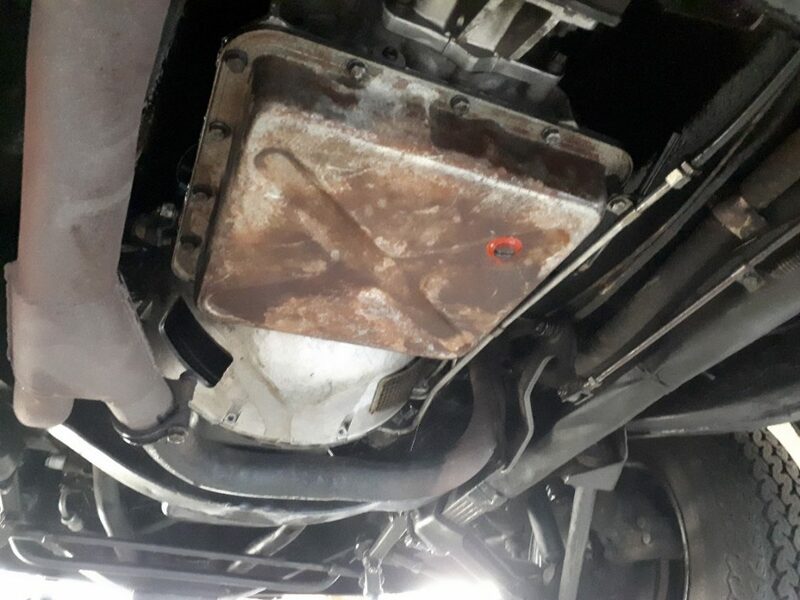 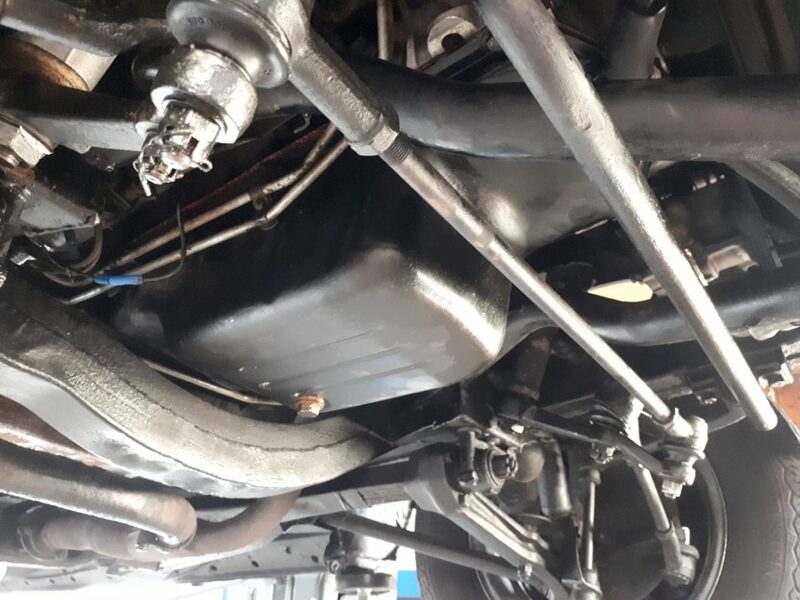 Chassis number 840-08036-D recently passed the meticulous German MOT-TÜV with flying colours and is now potentially ready to be repatriated to the Island! 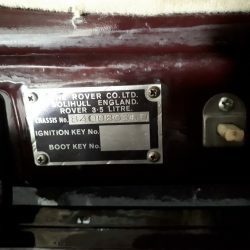 The price includes transport back to the UK. 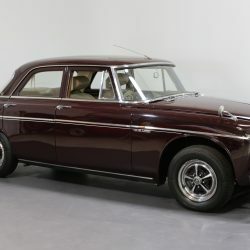 EXTERIOR - Heritage in England have confirmed that the car left the factory with Bordeaux Red paint. 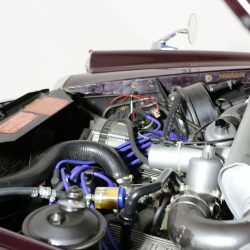 It received a full respray in its original colour in 1987 and, despite a few small areas that will eventually require attention: bottom corners of all 4 doors; the car is standing the test of time quite well. 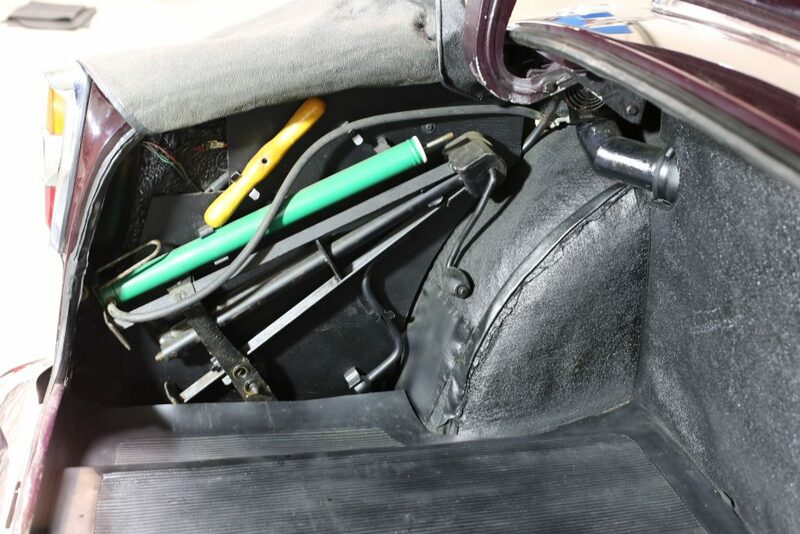 The rear right wing does however, bear a 6cm scar which has been touched in at some stage. 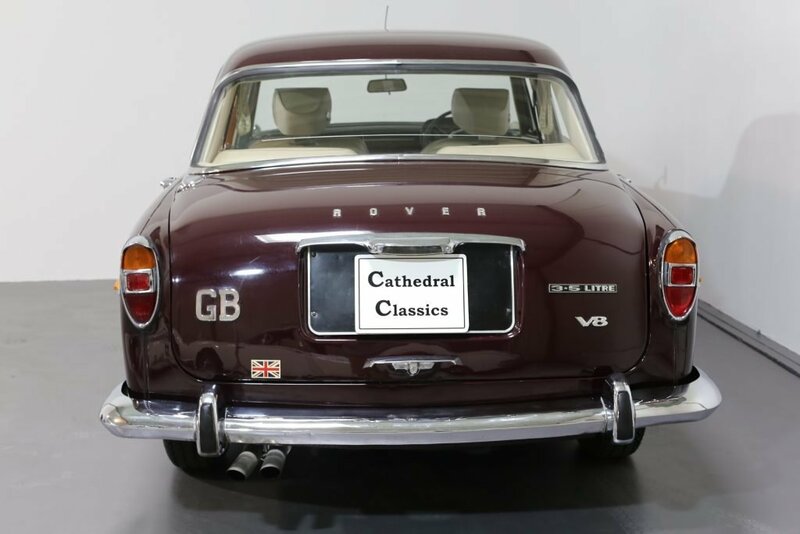 Viewing is always recommended but, what we are offering is essentially a good, honest old car that should now be used and once again appreciated. 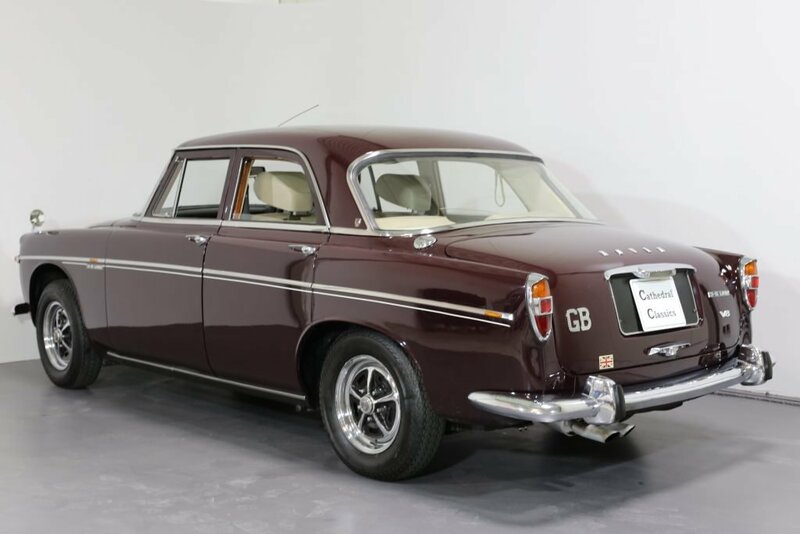 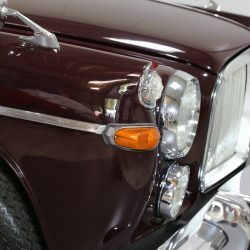 A vehicle deemed good enough for Royalty and heads of state, from Wilson to Thatcher, the ‘conservative’ Rover P5 makes a great alternative to perhaps a Mk2 Jaguar, offering similar standards of luxury, style and pace in – without question – a more dignified manner. 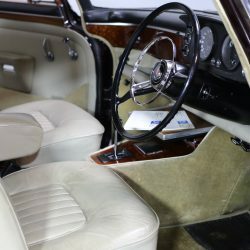 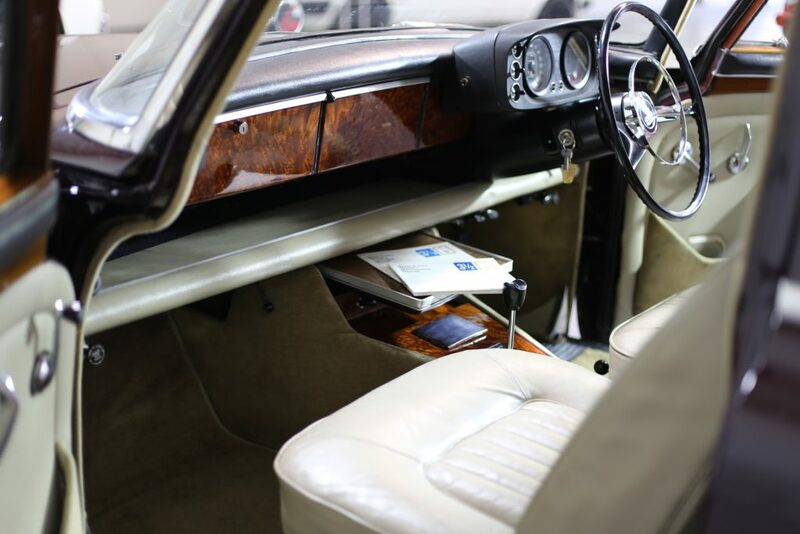 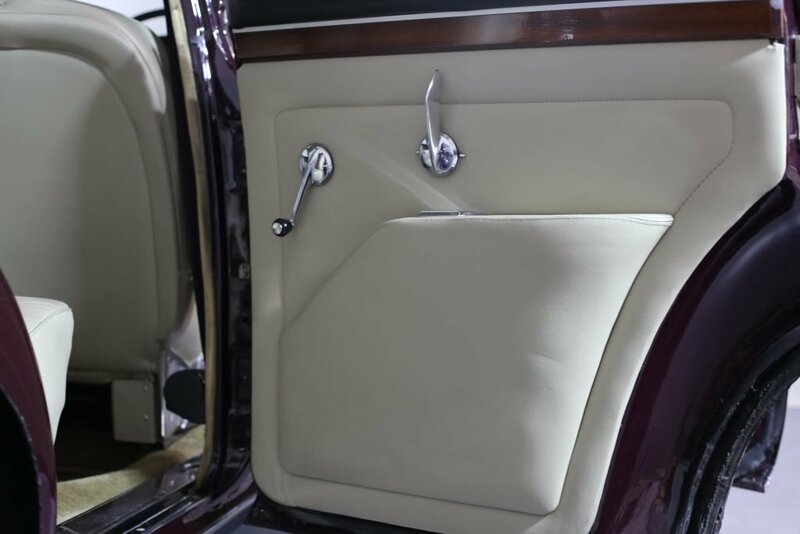 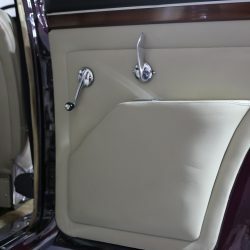 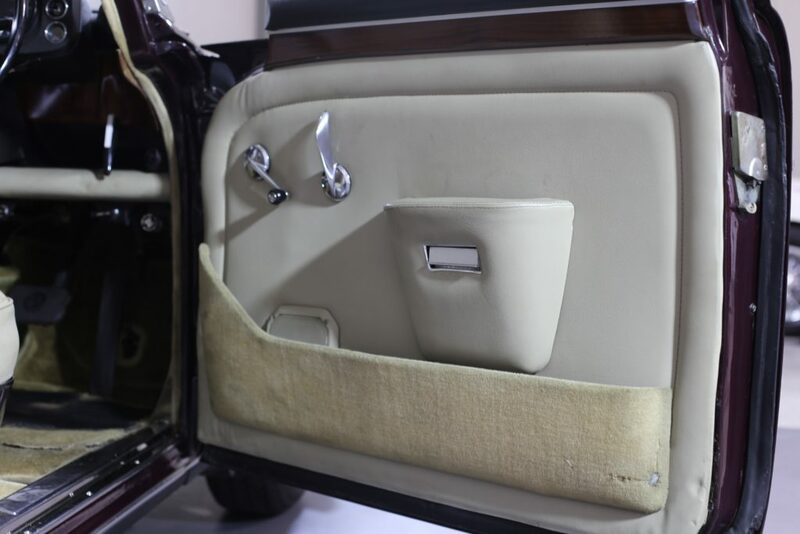 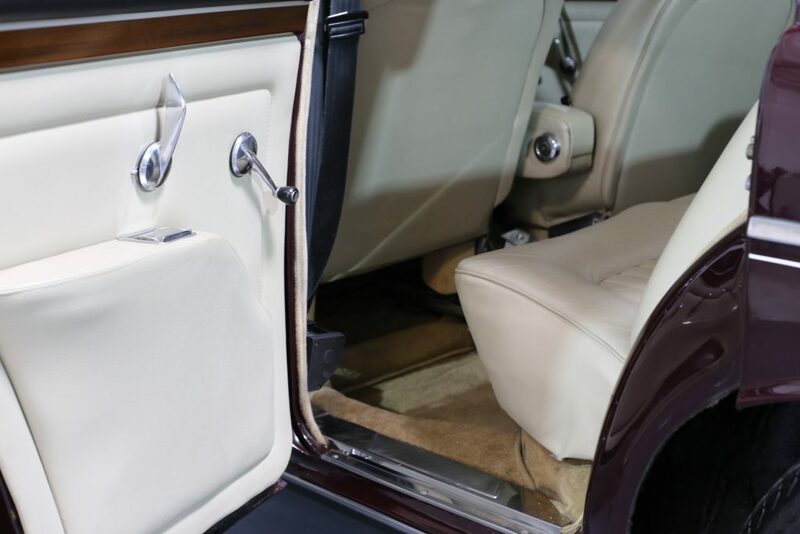 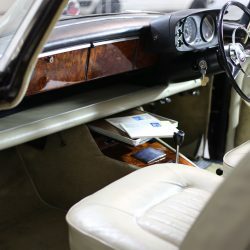 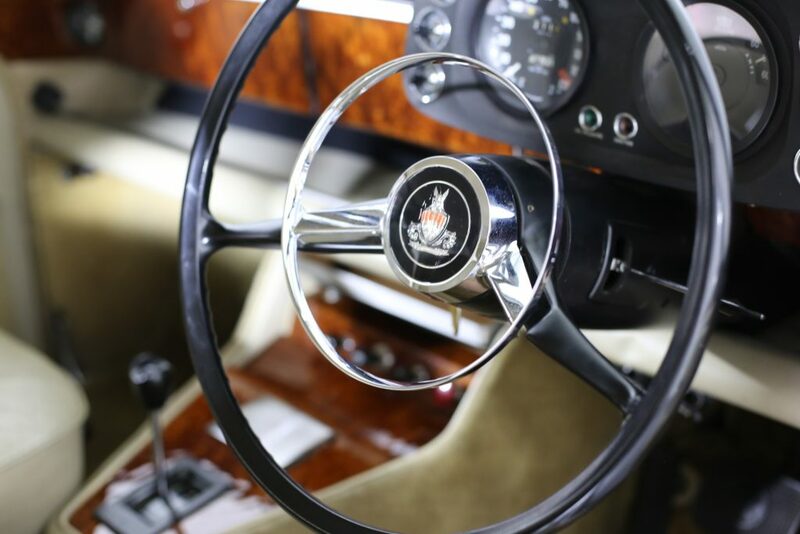 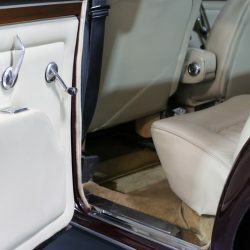 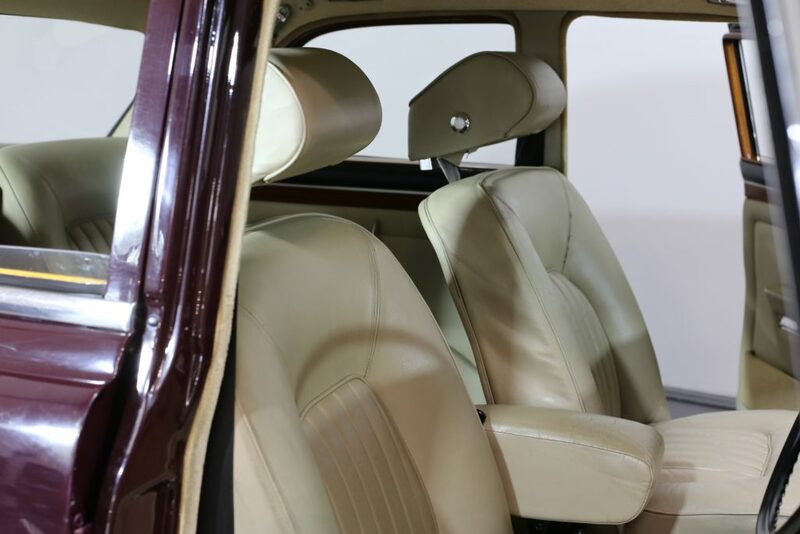 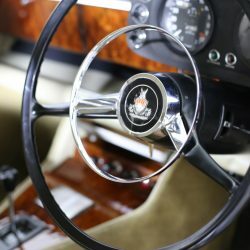 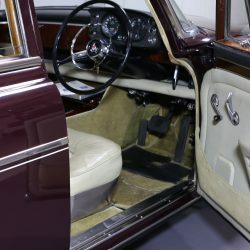 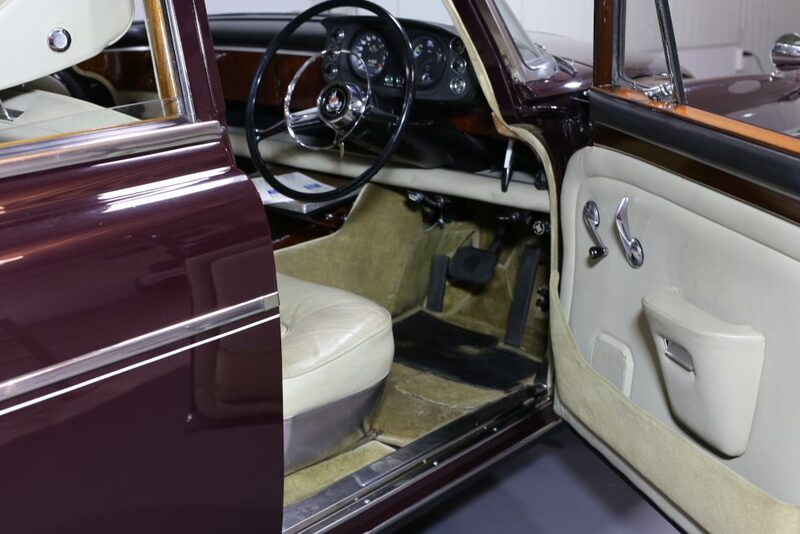 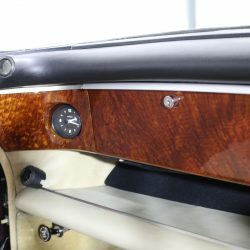 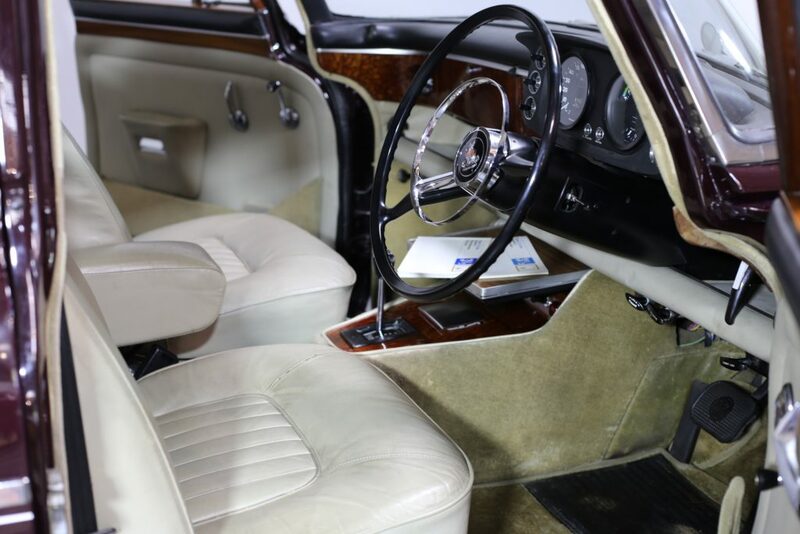 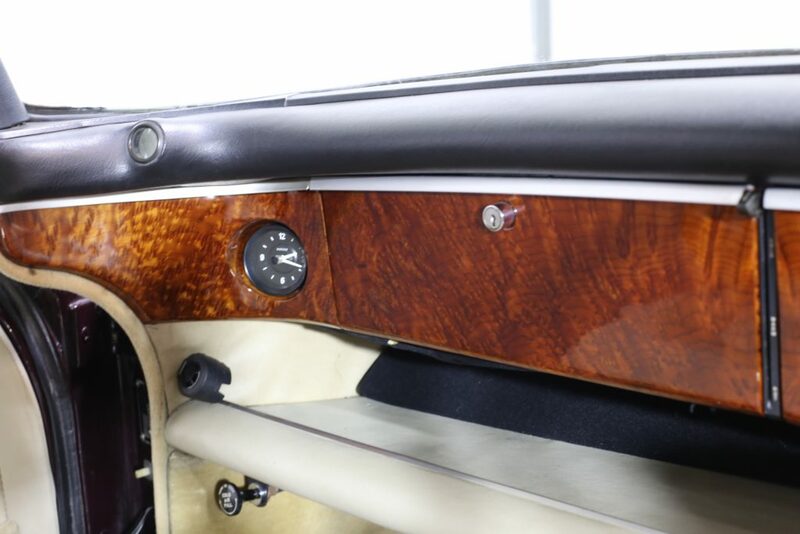 INTERIOR – Inside the presentation is as one would expect from a car fit for royalty, with the restored beige leather and olive carpets contrasting well against the woodwork which flows along the fascia and door capping’s so elegantly. 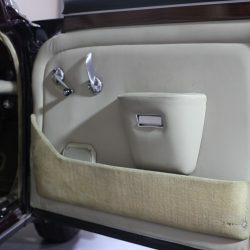 The roof-lining is superb with all 4 door panels to match. 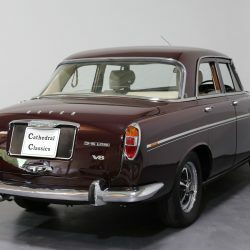 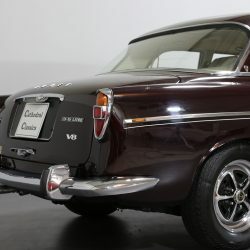 All in all, the car offers a wonderful patina and really now needs to be driven and appreciated again now that it’s been released from its collectors existence. 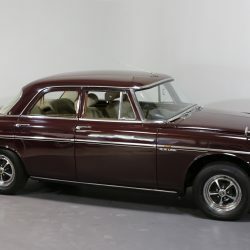 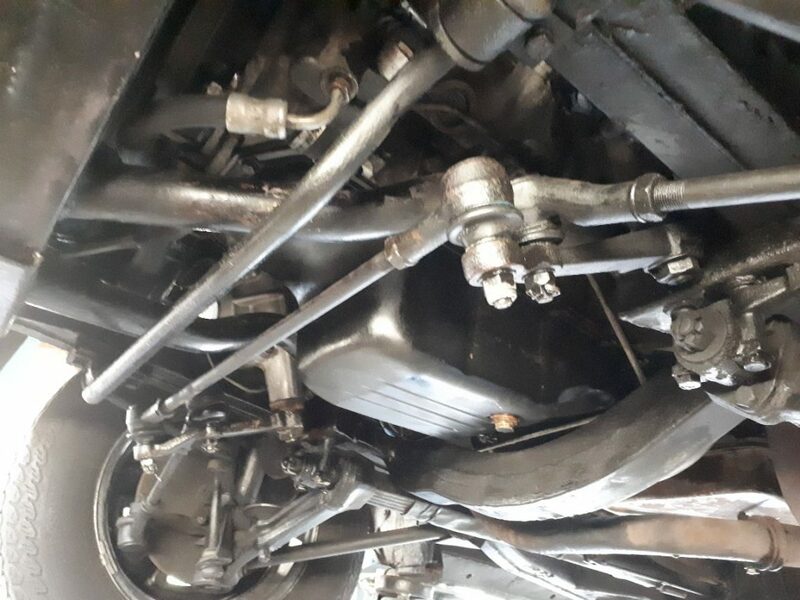 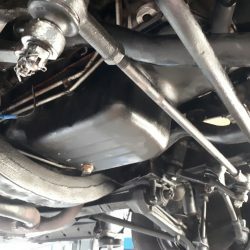 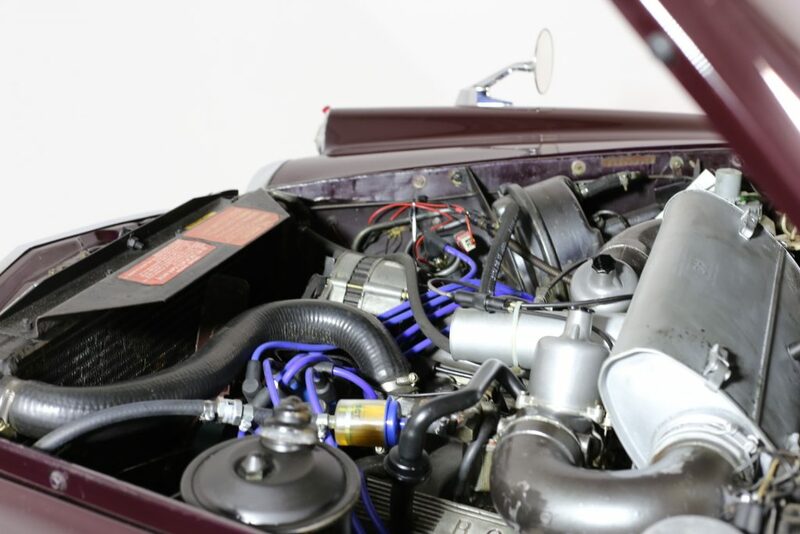 ENGINE & TRANSMISSION – The Buick lightweight aluminium 3.5 Litre V8 unit, redeveloped and strengthened by Rover, produces 118kW or 158 hp and feels like it could pull a house down. 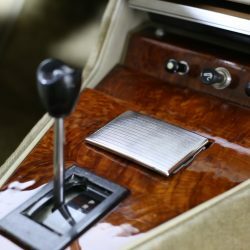 The smooth power take away is ridiculously effortless and really needs to be experienced to be believed. 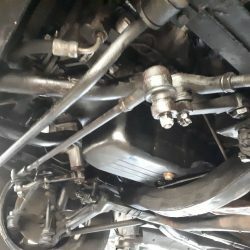 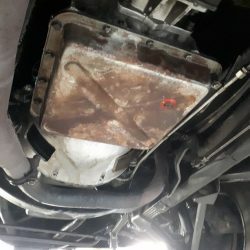 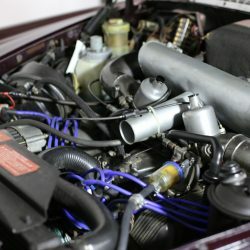 Once warm, both gearbox and engine are a wonderful engineering fusion. 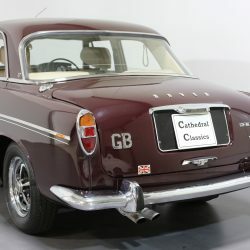 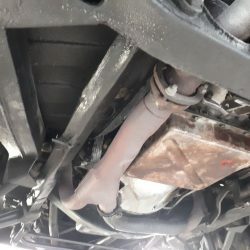 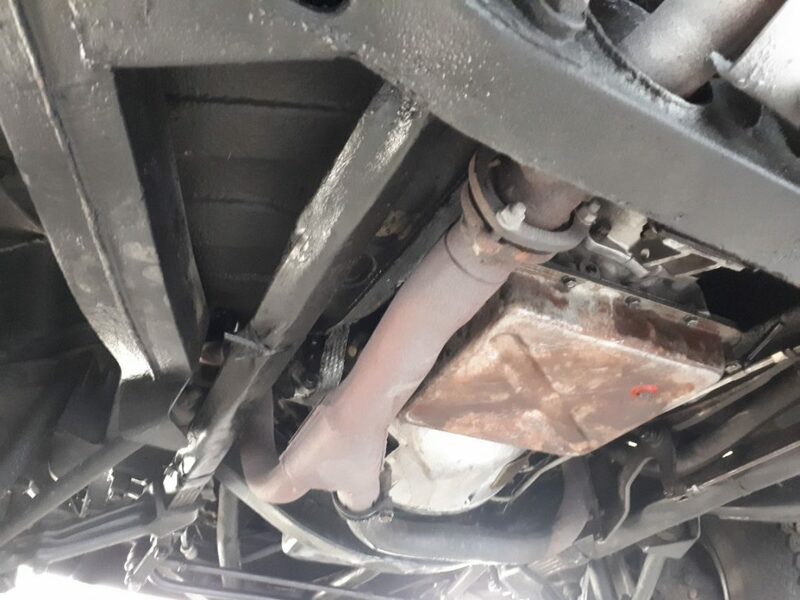 A recent service and new exhaust have brought the car to life again following a dormant but well maintained collector’s existence. 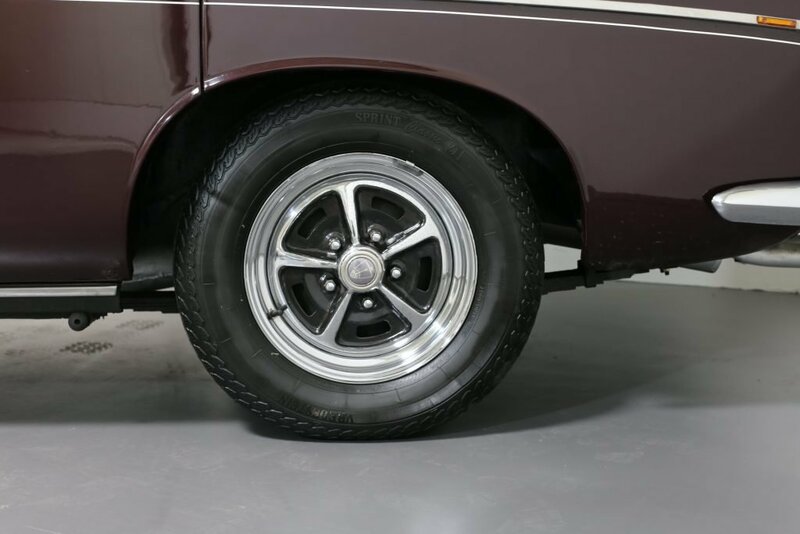 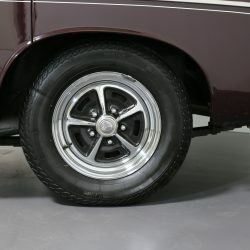 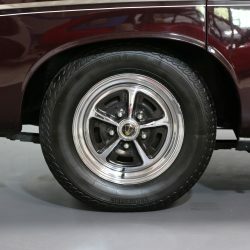 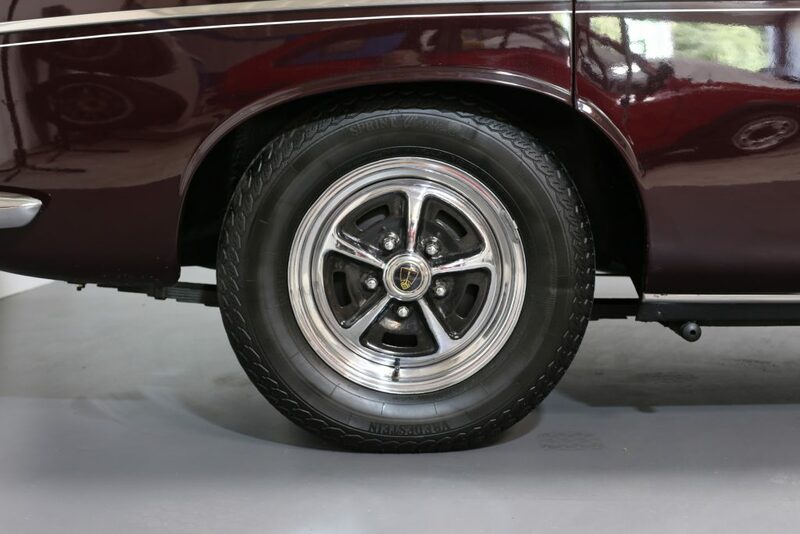 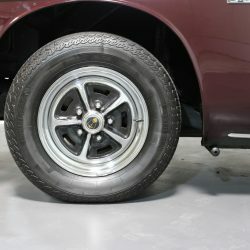 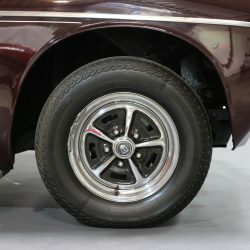 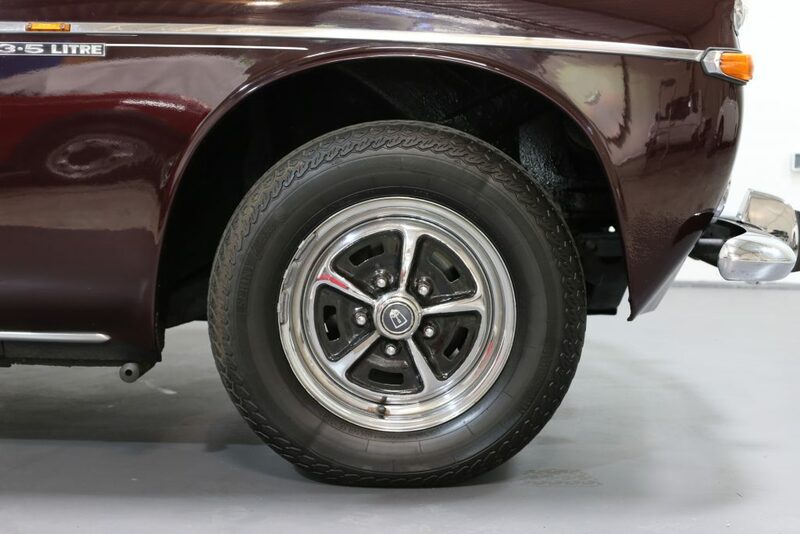 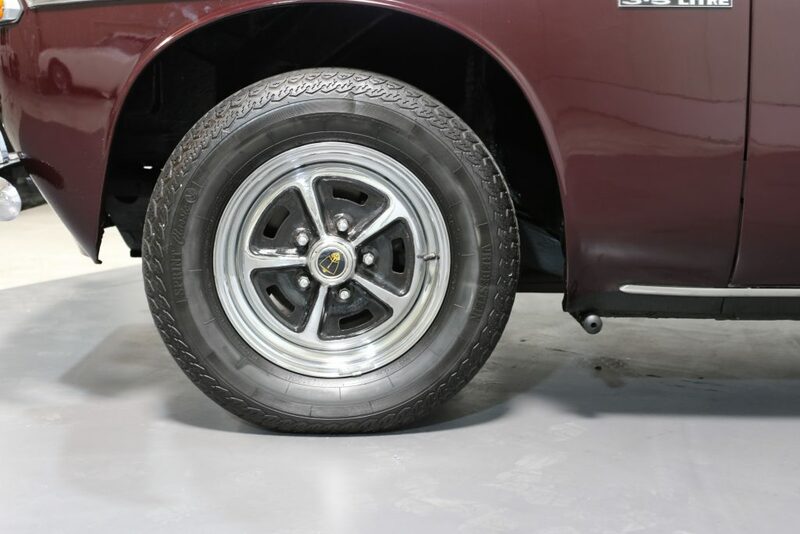 WHEELS, TYRES & BRAKES – The ubiquitous chrome Rostyle alloys are in good condition with all 4 Vredestein 185 HR15 91H tyres displaying healthy tread and plenty of years of life. 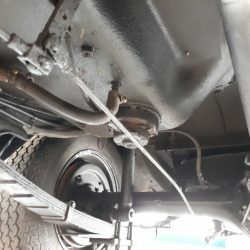 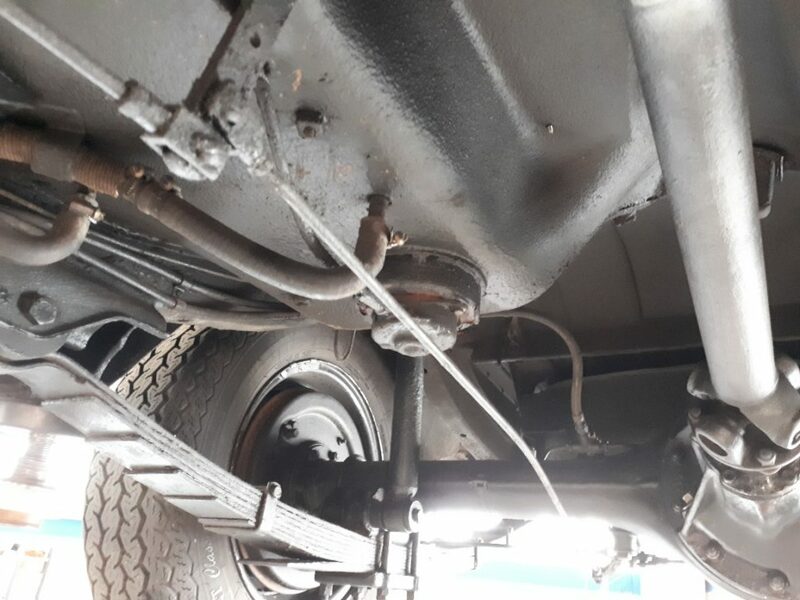 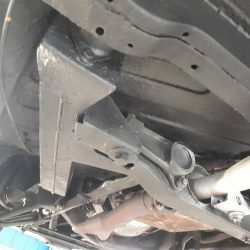 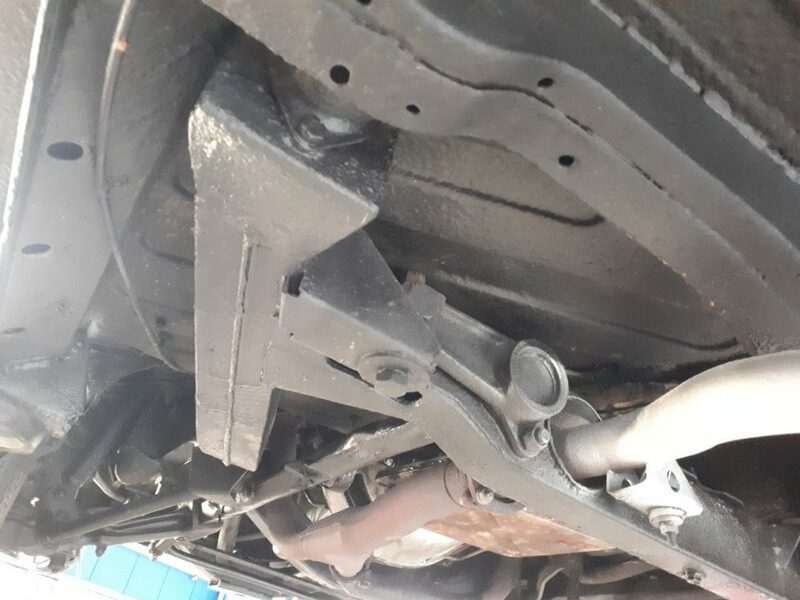 Brakes were recently serviced in July 2018.